Decorating their own personal space is something that almost everyone loves to do. From their homes to their favorite camping spots, people love adding their own personal touch. 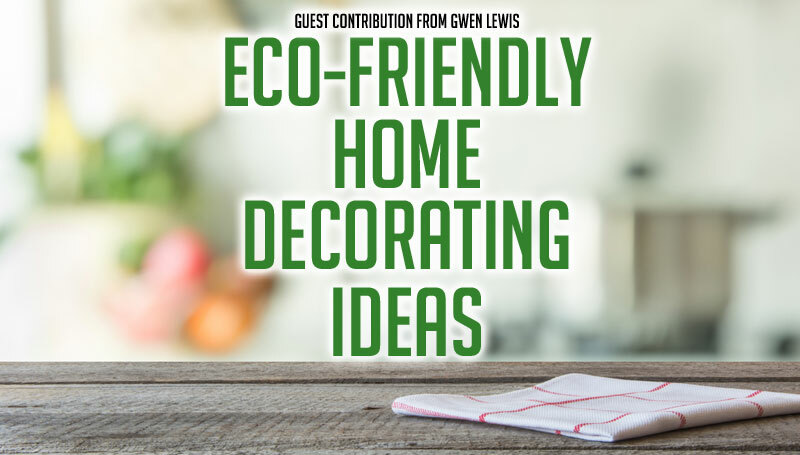 However, in this day and age of environmentalism, it is especially important to think of eco-friendly decorating ideas. While saving water is on the minds of many now more than ever, combining the concepts of camping and helping the planet is easier than you think. The following information will give you plenty of ideas, and tips, to create your own rustic decorations. After implementing them, you’ll feel like you’re camping right in your own home. As people who love the outdoors know, and as Better Homes & Gardens tells us, the look of a rustic landscape can bring warmth to an otherwise dull look of a house. That look can also endure for several years. But, remember – materials matter! Not only do hammered materials produce the idea of camping out in the woods. They are also more environmentally-friendly. Anything made of wood or grains will help combine the feeling of being outdoors with helping the environment. Not only do the materials matter. Design matters just as much. You can even use wood for the ceiling and walls. After all, camping out means you’re among the trees. So, consider bringing some lumber inside. Of course, find another source other than the trees you might find in the woods. Your local store may have reclaimed wood that you can easily use to remodel your home. You can easily bring those ideas into many rooms in your home, and Country Living has you covered. First, you can dive into the kitchen with a rustic look. Large farmhouse tables, butcher block countertops, and certain canisters all give off the outdoor look you want. Combine that with large picture windows, and you have the feeling of camping out right in your own home. You can also replace your kitchen floors with reclaimed wooden planks to add more of an eco-friendly experience. Everyone loves to gather in the den for meals, and other activities. But, with a stone fireplace, you can feel like you’re camping indoors. With an eco-friendly sofa, and vases for your fresh flowers, it’s the perfect combination of the woodsy, and floral environments. You can even create your rustic look in your bathroom. While we all know that using your home’s bathroom is a different experience than camping in the woods, you can still bring that rustic feeling by installing a tub encased in reclaimed wood. You may think that your only rustic option for the bedroom is to buy certain cabinets or a wooden bed frame. However, as DIY & Crafts shows us, that simply isn’t true. You can also buy – or even create – a custom headboard. After all, when camping out in the woods, you aren’t just surrounded by trees. You may also be near a cabin or even a barn. So, having your own barn-door-headboard is another great way to create the outdoor experience right in your own bedroom.